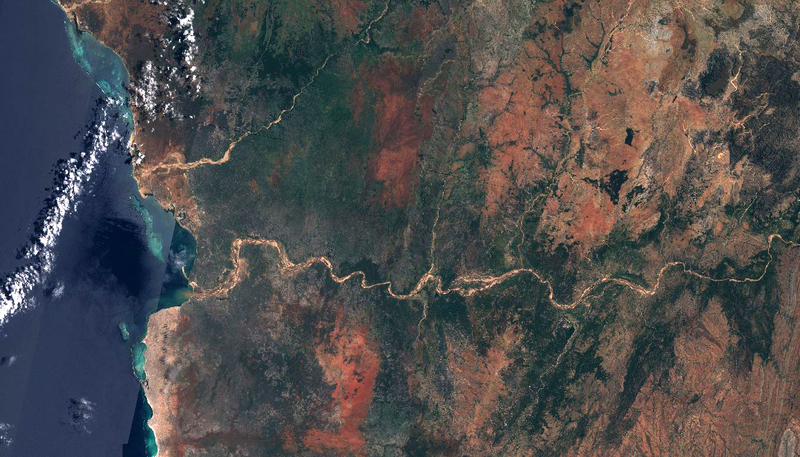 Earth observation data provided by the Sentinel satellites are revolutionizing the market of space applications. 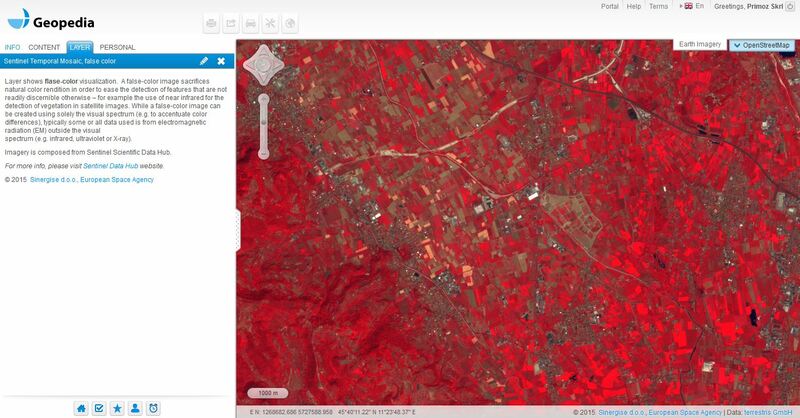 Sentinel-2A is producing thousands of high resolution scenes every day for almost a year now. 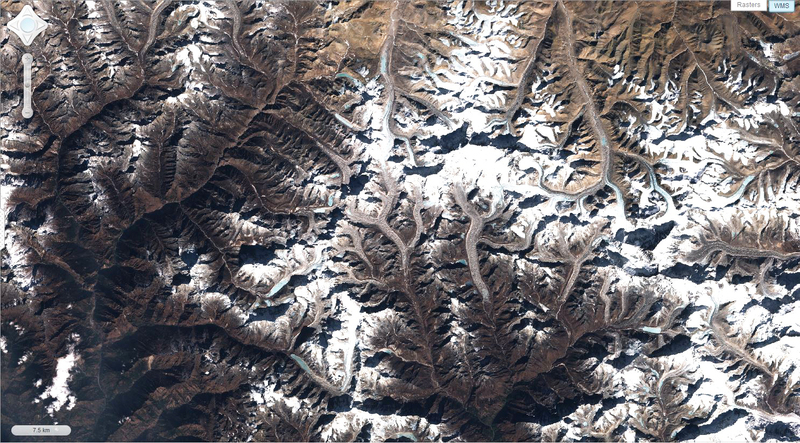 These data are now openly accessible and Sentinel Hub service can provide you with high resolution imagery almost instantly after they are made available. 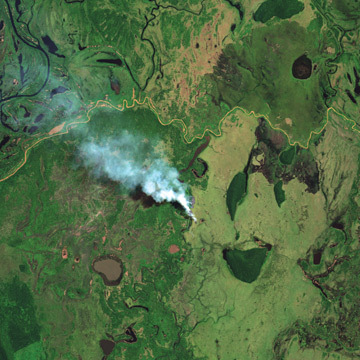 The Sentinel-2A 290km wide swath allows any part of earth surface to be revisited frequently. Mission provides a global coverage of the Earth's surface every 10 days, producing data of great use for several sectors. High resolution data with span of 13 spectral bands, from visible and near-infrared to the shortwave infrared at different spatial resolutions ranging from 10 to 60 meters is perfect for land-cover classification, change detection, maps of geophysical variables such as leaf area index and other uses. 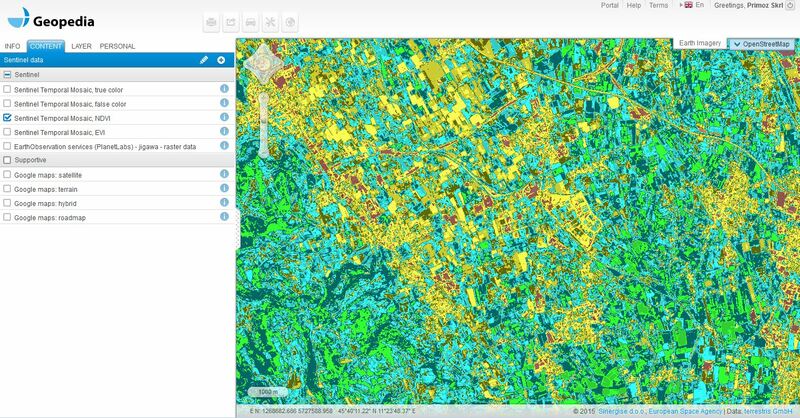 Sentinel data provided by Copernicus program and ESA is freely available to anyone and we can help to get data to your screen. Satellite imagery is revolutionising agriculture and can help European farmers and public authorities take land monitoring to a new level. 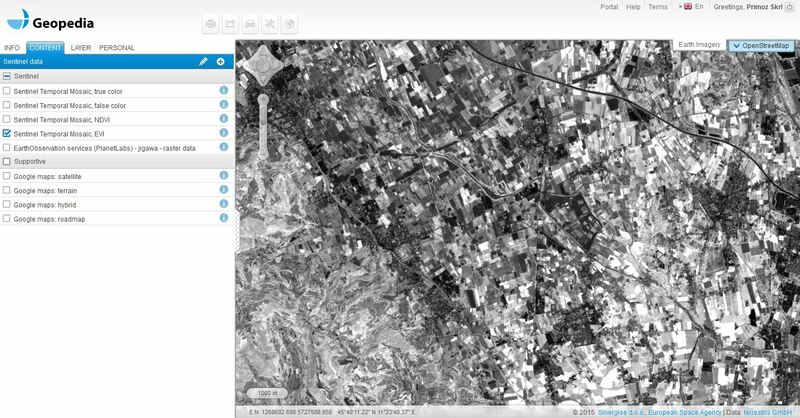 Service-oriented satellite imagery infrastructure takes care of all the complexity of handling a satellite imagery archive and makes it available for end-users via easy-to-integrate web services. 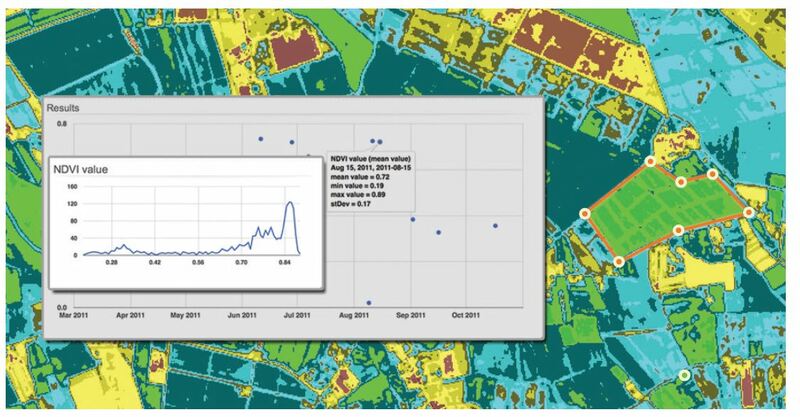 The results of land monitoring bring significant added value to agriculture, such as using the data to determine all sorts of changes in vegetation, or assessing the impact of a specific measure or project on pesticide use or irrigation. 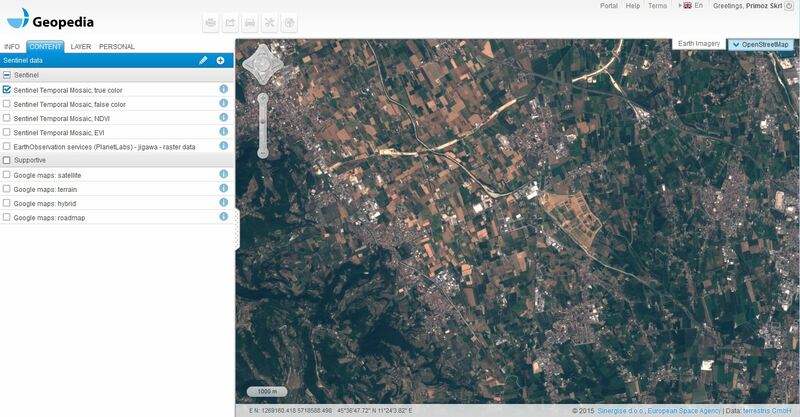 Are you ready for Sentinel-2? We are! If you are interested in this data or you would like to add some value added services to the data, either for research or commercial purposes, be sure to contact us.